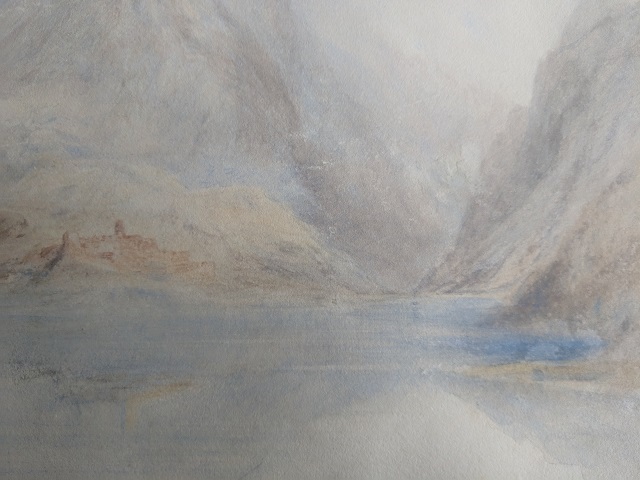 This is a Turner-like water color of a lake view expertly executed with great delicacy. It measures 9 1/4" high by 13" long. 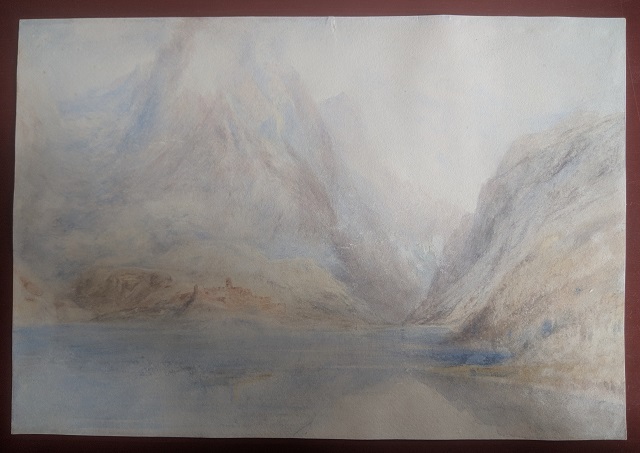 appears very similar to a work by Ruskin of a similar scene in a private collection. 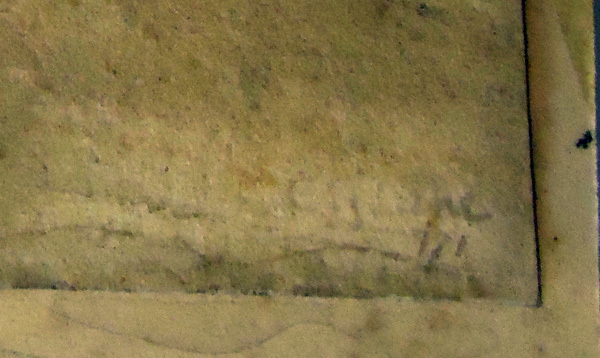 The painting may have in fact been inspired by Ruskin. It was painted on a thin smooth wove texture paper mounted on a thin 3 piece board with a mat. 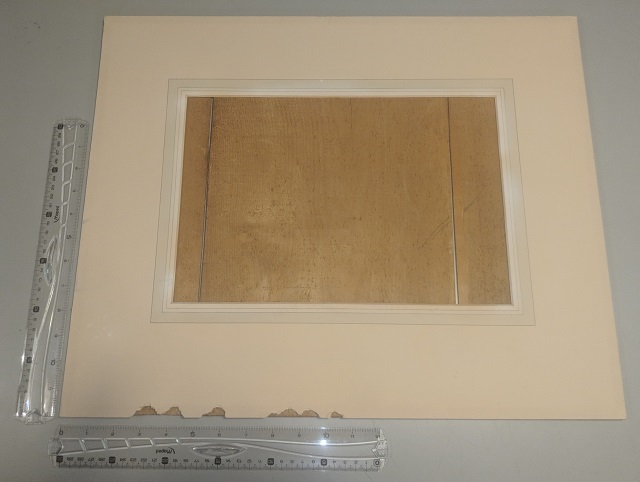 The painting has been removed from the board, cleaned and wrapped in buffered paper for preservation. The mat is badly damaged along it's lower edge. The mat and board each measure 18" x 22" and are included for archiving. The painting itself is 9 1/4 by 13 inches. "He was a most muscular Christian and a notable cricketer." Above photo is the damaged hand colored mat lying on top of the thin 3 part board backing. 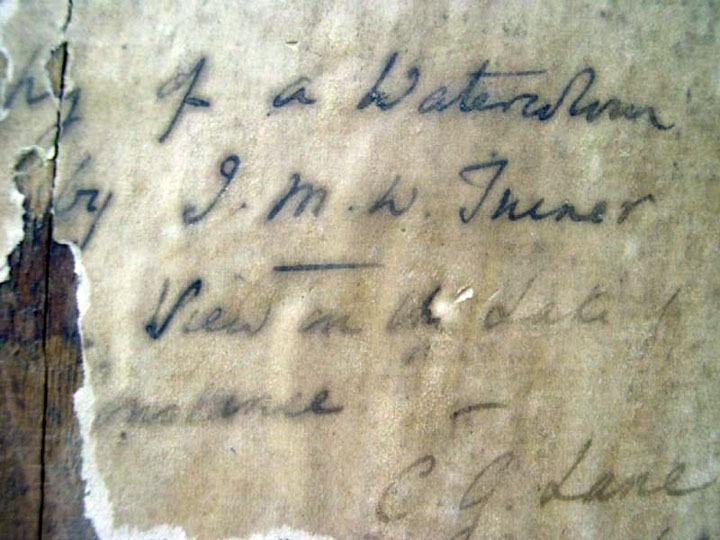 The painting has been restored but still has some signs of age. It is shipped un matted,but is accompanied with the original backing - the back of the framing material with CG Lane named as artist and the original aged and stained mat for archiving. Great Thanks for information from Mathew Imms & Ian Warrel at the Tate Gallery , London.